Born from necessity, Tivoli Couture offers parent tested and approved baby gear and accessories For Babies’ Comfort Year Round. Tivoli Couture is committed to bringing parents innovative products that are functional, practical & stylish. 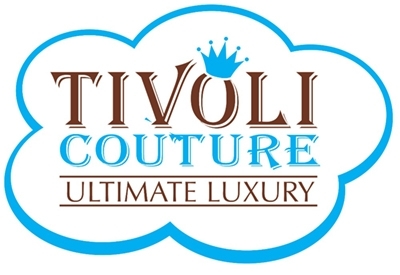 Whether you are shopping for a baby shower gift, or simply want to provide a clean and comfortable environment for your own child, Tivoli Couture’s problem solving products are the ultimate solution. Our ever growing award-winning collection of seasonal covers for baby carriers, strollers and car seats includes: Plush Reversible Stroller Liners, patent-pending NuComfort™ Memory Foam Stroller Pads and Seat Liners, Memory Foam High Chair Cushions, reversible covers for ERGObaby® and Baby Bjorn® baby carriers, Footmuffs and Bunting Bags, Weather Resistant Covers and Wearable Blankets for baby carriers and baby wraps, winter car seat covers and more! All products are reversible and easy to care for – just perfect for busy parents on the go lifestyle. Our love of children is our biggest inspiration. We continue to develop quality innovative products for year round comfort and convenience that are multi-purpose and multi-functional so that our customers can get the most value and use out of their investment. We always welcome customers’ feedback and appreciate your continued support.